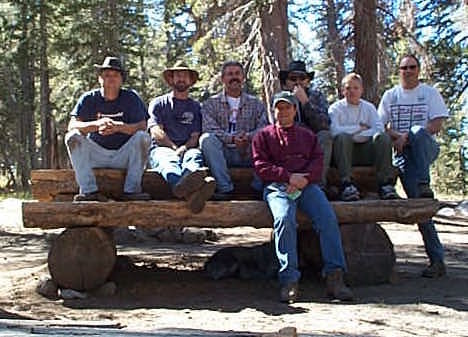 The Santa Cruz 4 Wheel Drive Club was established in 1969, making it one of California's oldest. Members of all ages and children are welcome on all of our runs. Please check the calendar for upcoming events. We hold Officer Committee meetings quarterly. All members are welcome to attend the General Meetings. Dates and locations are in the newsletter mailed to each member's home and in the Calendar section of this web site if you wish to attend as a guest..
Own a 4 wheel drive vehicle. Be sponsored by an active member. Attend 2 club trail runs or events. Our club proudly supports CAL4Wheel, The Blue Ribbon Coalition and the philosophy of Tread Lightly.